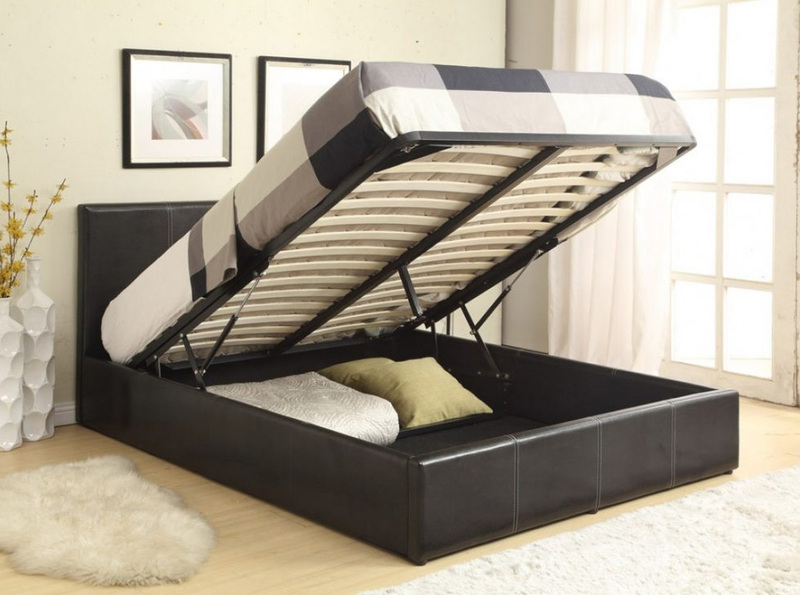 The Abby storage bed or sometimes known as an ottoman bed has been upholstered in quality faux leather which would fit in well with any bedroom colour scheme. Lovely bed. It actually states 2 people to put together but I did it myself (43 year old female) but obviously this is dependent on each person. The only thing to note is the instructions aren't great for the piston arms which allow you to lift the bed up and down for the storage space but when I looked on line I soon found out what I was doing wrong. 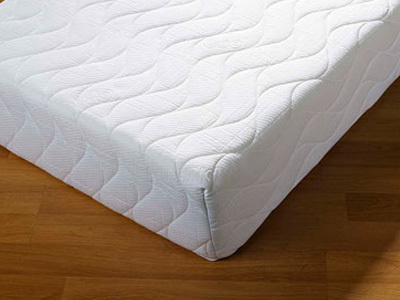 Do not try and put weight on the bed frame until everything is in place and the mattress has been placed on the bed - so place the mattress when the base is at an angle. 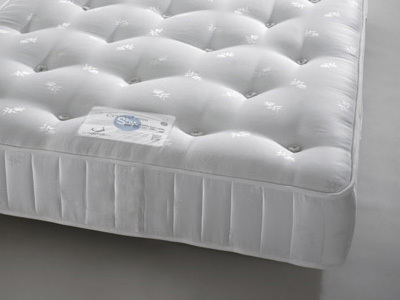 It works by weight and as soon as I added the mattress it was easy to put slight pressure on it to close it. Hope this little bit of advice helps! The decoration took somewhat longer than expected and the costs were higher too, I needed to compromise on the furniture, but this bed looks so much better than on picture and got it very fast. I wish all the jobs were done by Bedstar! My new leather bed is all built up in my room and I only got a delivery 50 minutes ago, the hardest part was to remove the packaging! I was worried with the bed coming flat npacked as I am not the most handy of people. The bed was by no means hard to assemble. Very satisfied. Great for a small London apartment where clever storage is essential. Huge selection, everone can find the bed of their dreams. It looks as if it was real leather, very pleased with the quality. It took me less than an hour to assemble the bed. My new leather bed looks very stylish. I bought this bed for my daughter and she is very happy to have a place for all her stuff. I'm happy that I don't need to tidy up her room as often. Love my new bed! Love the extra storage, my room doesn't look cluttered anymore. Very pleased with the company. Advantages: Very good instructions, even I could follow them !!! 80+ year old. Looking fwd to a good nights sleep.